Since ancient times the island of Bali is known as a tourist destination of the world. Even been known since before Indonesia's independence. Until now, the island of Bali is still a fairly popular tourist destination. Because Bali has an abundance of charm and beauty. Culture is very unique, diverse art, stunning natural beauty, as well as Balinese people in the know are very friendly and love to smile with anyone. Bali now has changed. Early changes in Bali began bombing tragedy in Kuta. The tragedy that leaves sorrow and sadness that always remembered by those affected by the tragedy. The tourism industry is becoming very devastated, and many businesses are threatened with bankruptcy. Hotels, restaurants, bars, cafes, and discos are the most affected by the tragedy. Many people laid off and become unemployed. Craftsmen did not get the order, so it does not have a job. Artists must also be willing to sell his art shops because there are no buyers. 2002 is the beginning of a change on the tourism industry in Bali, since the Bali bombing occurred in that year. Now the Bali tourism industry has risen from adversity. Even has demonstrated significant improvement when compared to the condition before the Bali bombing. Foreign tourists continue to flock to Bali. Even the increasing number of foreign tourists. Bali was more crowded by people from various countries. Since the condition of tourism in Bali unchanged. Since that time investors began to come to Bali with the goal of becoming part of the development of the tourism industry in Bali. Hotel is one of the most desirable business by businessmen. Many nyotel built without a clear concept. Even a shop was converted into a hotel. Narrow area also converted into a hotel. So many hotels do not have a yard and garden for guests' activities. Hotels in Bali very much. In one area there can be more than three hotels. Even the hotel can be adjacent to each other, and only limited by the walls. They compete in price. So that the average price of hotels in Bali is very cheap. They ignore the comfort and environmental aspects. Many hotels in Bali are built without giving the green concept. Most of the hotel building consists of rooms and restaurants. Open courtyard largely converted into a swimming pool. No gardens and open spaces. Because the number of hotels in Bali too much, with the total number of rooms nearly 50.000 rooms for a classy hotel, it's a tourist destination Bali in terms of lodging and accommodation. There is no fair competition in terms of providing room rental rates. Government silent as to this condition. Even the rules that have been made to stop the new hotel building permits can not be menjegah investors to create a new hotel. Even rules that prohibit the construction of hotels near the temple has many violated. The government gave permission without notice aspects of culture and religion that has been set. Bali is now known as a cheap tourist destination. Everything in Bali can be purchased and paid a pittance. With the exchange rate Indonesia is very weak, make Bali a tourist destination in the world's least expensive. 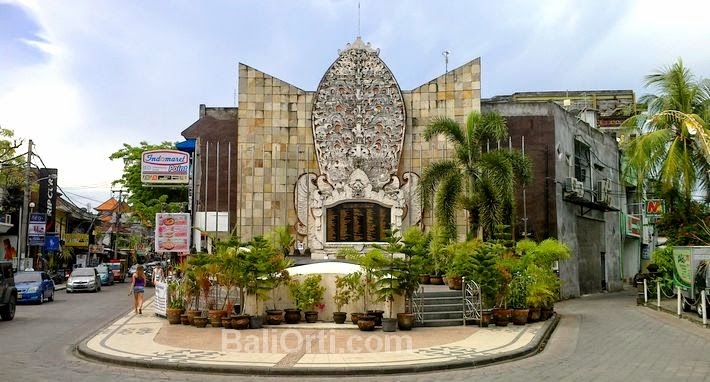 Culture, art, tradition, religion, social and natural beauty of Bali on sale at cheap prices. Bali to be crowded by poor tourists who are just looking for a bargain price while on vacation.